Arnold Schwarzenegger told he can't furlough anyone he wants. A state appeals court in San Francisco ruled that Gov. Arnold Schwarzenegger had no right to furlough about 475 lawyers who work for the State Compensation Insurance Fund. The Court of Appeal said the attorneys are protected by a provision of state insurance law that makes fund employees "exempt from any hiring freezes and staff cutbacks otherwise required by law." A three-judge panel said the state law gives power to make staffing decisions to the fund's board of directors and not the governor. The insurance fund, created by the Legislature in 1914, provides workers' compensation insurance for some California employers. It is partly a state agency and partly a private insurance carrier. It is financed through premiums paid by employers and not through the state budget. The appeals court upheld a decision in which San Francisco Superior Court Judge Peter Busch in April 2009 blocked furloughs of the fund lawyers. Schwarzenegger ordered furloughs of most state employees two days per month beginning in February 2009 because of California's multibillion-dollar budget deficit. 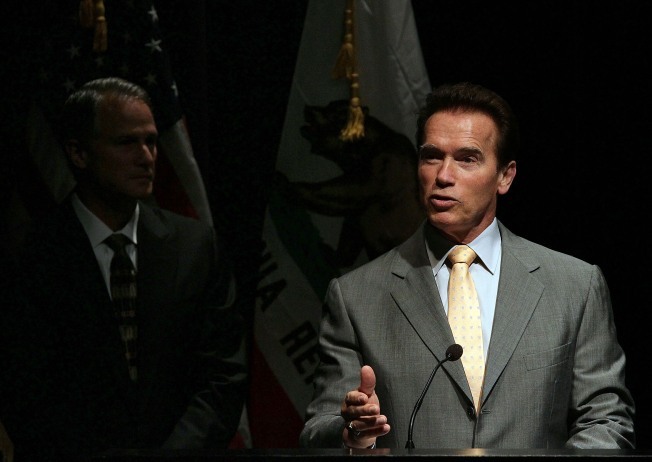 In July, Schwarzenegger increased the furloughs to three days per month. But the increase didn't apply to the compensation fund lawyers because they had already won the Superior Court order blocking their furloughs. Justice Stuart Pollak noted in the panel's decision that because the insurance fund is financed separately, the furloughs "would not achieve the announced purpose of the governor's executive order, to improve the state's ability to meet its financial obligations." Patrick Whalen, a lawyer for the union representing the attorneys, said, "We're pleased with the ruling. We're glad the court reached this conclusion." Whalen said he expects the appeals court may apply similar reasoning to a separate pending appeal concerning more than 7,000 other non-attorney employees of the compensation fund. Schwarzenegger spokesman Aaron McLear said, "We're reviewing the decision and weighing our options." McLear said that 28 lawsuits have been filed in various superior courts challenging state furloughs. Thus far, the governor has won seven and lost six, he said. The Schwarzenegger administration recently asked the California Supreme Court to consolidate the appeals in seven of the cases.